High spectral resolution lidar (HSRL) systems collect data about clouds and aerosols. These systems provide vertical profiles of optical depth, backscatter cross-section, depolarization, and backscatter phase function. All HSRL measurements are absolutely calibrated by reference to molecular scattering, which is measured at each point in the lidar profile. Like the Raman lidar, but unlike simple backscatter lidars such as the micropulse lidar, the HSRL can measure backscatter cross-sections and optical depths without prior assumptions about the scattering properties of the atmosphere. The depolarization observations also allow robust discrimination between ice and water clouds. In addition, rigorous error estimates can be computed for all measurements. A very narrow, angular field of view reduces multiple scattering contributions. The small field of view, coupled with a narrow optical bandwidth, nearly eliminates noise due to scattered sunlight. ARM operates two HSRL systems, one at the Barrow North Slope of Alaska (NSA) site and the other in the second ARM Mobile Facility (AMF2), which is deployed at various locations on field campaigns. Silber I, J Verlinde, M Cadeddu, C Flynn, A Vogelmann, and E Eloranta. 2019. 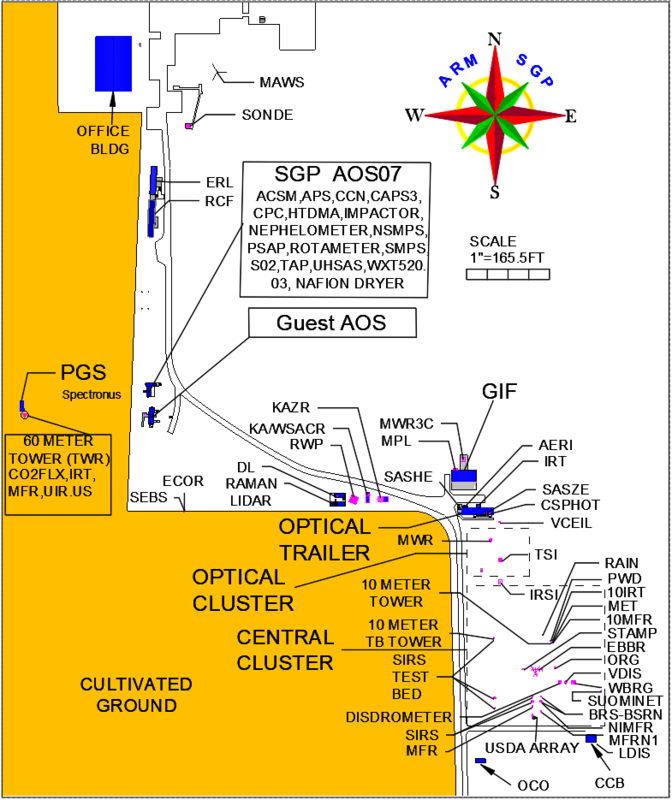 "Antarctic Cloud Macrophysical, Thermodynamic Phase, and Atmospheric Inversion Coupling Properties at McMurdo Station—Part II: Radiative Impact During Different Synoptic Regimes." Journal of Geophysical Research: Atmospheres, 124(3), doi:10.1029/2018JD029471. Nikandrova A, K Tabakova, A Manninen, R Väänänen, T Petäjä, M Kulmala, V Kerminen, and E O'Connor. 2018. "Combining airborne in situ and ground-based lidar measurements for attribution of aerosol layers." Atmospheric Chemistry and Physics, 18(14), 10.5194/acp-18-10575-2018. Lubin D, DH Bromwich, AM Vogelmann, J Verlinde, and LM Russell. 2017. ARM West Antarctic Radiation Experiment (AWARE) Field Campaign Report. Ed. by Robert Stafford, ARM Research Facility. DOE/SC-ARM-17-028. Korolev A, G McFarquhar, P Field, C Franklin, P Lawson, Z Wang, E Williams, S Abel, D Axisa, S Borrmann, J Crosier, J Fugal, M Kramer, U Lohmann, O Schlenczek, and M Wendisch. 2017. "Ice Formation and Evolution in Clouds and Precipitation: Measurement and Modeling Challenges. Chapter 5: Mixed-phase clouds: progress and challenges." Meteorological Monographs, 58, 10.1175/AMSMONOGRAPHS-D-17-0001.1. Moisseev D, A von Lerber, and J Tiira. 2017. "Quantifying the effect of riming on snowfall using ground-based observations." Journal of Geophysical Research: Atmospheres, 122(7), 10.1002/2016JD026272. Zhang D, Z Wang, T Luo, Y Yin, and C Flynn. 2017. "The occurrence of ice production in slightly supercooled Arctic stratiform clouds as observed by ground-based remote sensors at the ARM NSA site." Journal of Geophysical Research: Atmospheres, 122(5), 10.1002/2016JD026226.